Are you in struggle town? Have you hit rock bottom, feel like you’ve got nothing left? Or have you lost your direction, or simply need a little push and reassurance that you can get back on track? What is the point of being successful, fit or healthy if you continue to feel deflated, lack self-confidence, and suffer feelings of depression or unhappiness? You can unlock your potential. You can maximise your performance. You may just need the right kind of guidance. If you feel like you’ve tried everything, that no one or nothing can kickstart or inspire you, then put us to the test. We want to do everything we can to make those that come into contact with us feel the best they can. Tess and Cara have both been there. They know the feeling of training and working with people who fail to provide genuine or real interest in you, the client. Tess is a registered Exercise Professional, who has a passion for providing the best service for her clients, tailored to their individual needs. Tess has been working for the past 10 years in the industry of personal trainers/coaches, elite and high performance athletes, and with clients who are looking to “change” themselves, challenge themselves and become “better”. In this role, I have not only been a trainer, but also a counsellor. Clients come seeking to improve their physical health, however, often find that as a result, they are challenged to overcome the psychological hurdles that may have been holding them back for years – often the reason they are unable to ditch those last few kilos or keep it off. The way we view our bodies, the importance of our health, our lifestyle choices, the food we choose to eat, the way we treat ourselves, is intrinsically linked to our overall physical condition. I have watched as once shy, withdrawn and depressed clients have developed self-confidence, intrinsic motivation and passion for their own wellbeing, all through the power of their own bodies. Cara is a registered Psychologist and works with the most vulnerable of clients, and values the benefits of utilising physical and psychological strength to overcome debilitating effects of mental health. For the past 15 years, Cara has worked in the area of human resources and services, psychology and allied health. I have seen firsthand the implications of psychological injury, physical injury and the undeniable link between both. During this time, Cara has worked with clients primarily in the area of psychological wellbeing, with the obvious encouragement provided to clients, towards physical activity and improving physical fitness. What Cara has come to acknowledge is that the most beneficial psychological progress is made in conjunction with clients learning more about the physical functioning of their bodies, developing their physical abilities, pushing their physical limitations and improving their overall health and physical condition. 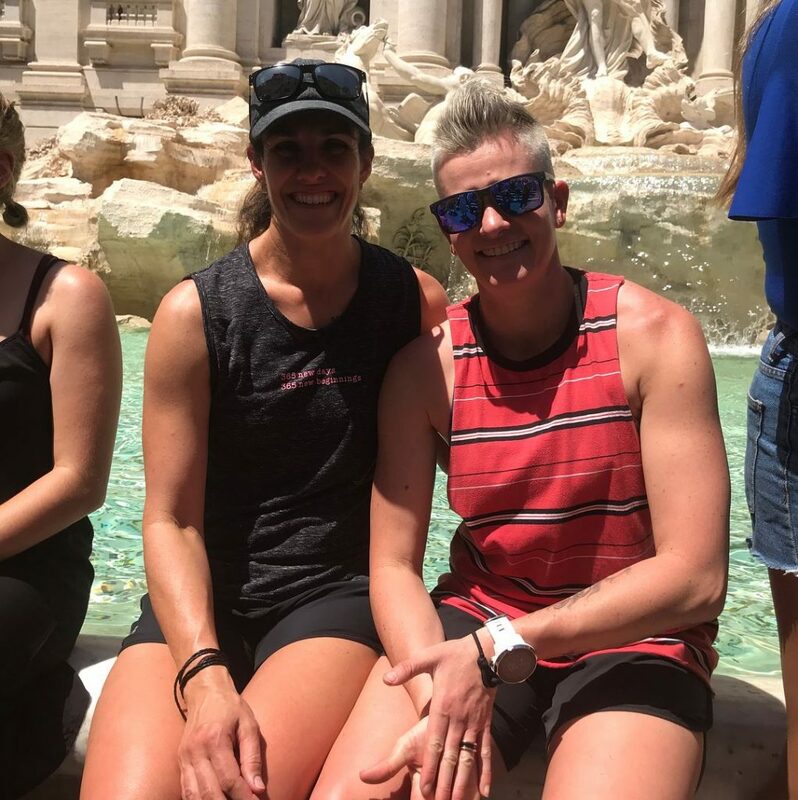 Tess and Cara know that using the power of the mind and the power of the body leads to the creation of opportunities for their clients to reach optimal health and performance. As a result, they have combined the benefits of physical exercise together with psychological strength. Let us close the gap between thinking about doing, and doing. It not only takes action, but commitment to achieve this. It is about performing at your best through the individual and private assistance of us as your coaches where our aim is to challenge, stimulate and guide you to develop and maintain your growth and motivation. It is about GETTING GENUINE RESULTS and helping you understand that we each have a way of generating problems, but also have the ability to solve these, found within us. We will assist you in defining what you want for your health, life and self, by identifying those seemingly overwhelming obstacles, setting realistic goals which take into account personal values and individual purpose, striving for balance and fulfilment, and keeping you accountable for your success and solutions. Mind is everything, if you don’t believe you can do something, then you can’t, it is that simple.